﻿The Big Sunday Festival has been a huge success for the last two years, but it’s taking a break in 2016. But don’t panic! 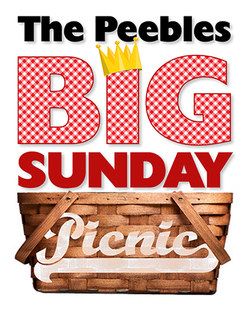 In its place this year is the Big Sunday Picnic! WHAT IS IT? A fun, accessible all-age open-air gathering for worship on Tweed Green, followed by (the clue is in the name) a picnic! Bring your own food and drink, and a rug to sit on. There’ll be community sports and games too, with Peebles Concert Band on stage to entertain us as we eat. WHEN IS IT? Sunday 14th August 2016, at 11am. WHAT ABOUT THE FESTIVAL? Back in 2017!